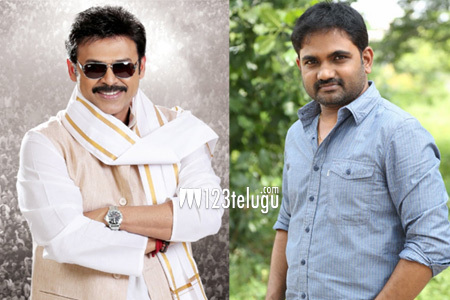 From the past few weeks, there have been reports that Maruthi will be making a film with Venkatesh. The project got materialized finally and latest reports reveal that the film will kick start its shoot from the 16th of December. Going into details, Venkatesh was apparently quite happy with the story narrated by Maruthi and has given a green signal for this family entertainer. A formal announcement will soon be made in this regard. Keep watching this space for more updates on this project.